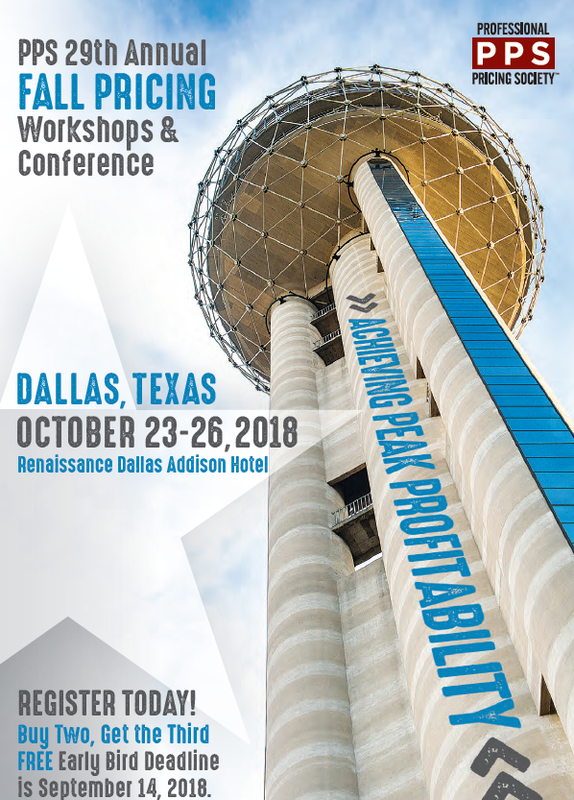 PPS, the world’s only professional society dedicated to pricing training, is hosting their 29th Annual Fall Workshops & Conference titled “Achieving Peak Profitability” in Dallas, TX. The conference, which provides the most pricing training available anywhere, is the industry’s best opportunity to learn and network with the world’s leading Pricing experts. Vistaar’s Dushyant Zutshiz will be presenting a breakout session titled “Machines Are Learning From Data: It’s a Pricing Opportunity” on Friday, October 26 from 1:00 – 1:40 pm. To learn more, please click here.